1) More trainers have arrived! 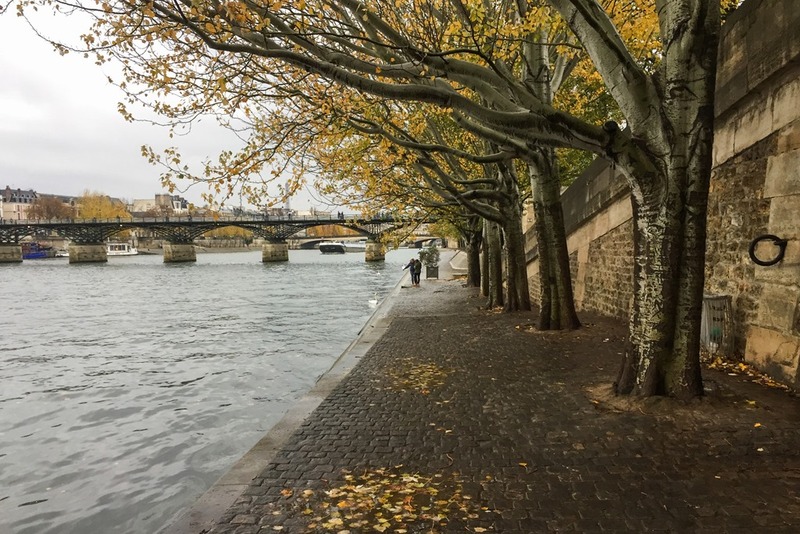 A full week home in the city of light…and rain. 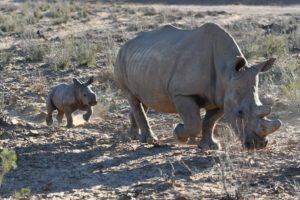 Here’s what I was up to over the weekend! This week I had both the CycleOps Magnus and the CycleOps Hammer trainers arrive. That follows the Kinetic Smart Control trainer last week. I spent some time this weekend with the Magnus trainer though, first getting it all unboxed. Then it was onto the bike for a few quick and dirty tests. I didn’t have a ton of time in between helping out The Girl at the bakery on Friday/Saturday, so it was fairly limited. Still, I was able to validate accuracy was in the range advertised, and the responsiveness was good. It worked well with TrainerRoad on the desktop, as well as the CycleOps Virtual Training app on iOS. Whereas on TrainerRoad iOS it could read the data, but couldn’t control it. This appears to be because their iOS app is limited to the Wahoo trainers right now for control. I’ll be doing more detailed accuracy testing later in the week upon my return from a quick trip. Same goes for Hammer-time. Below, a quick cell phone image I took while riding – focus on the middle line which is showing Power 10s average (sorry the right unit I didn’t have on the correct page to match the others). Left: PowerTap G3 Hub, Center: Quarq RIKEN, Right: Magnus. Oh – and as for that last hold-out – the Tacx Flux? I talked with Tacx on Friday evening and they confirmed an initial production unit will ship out to me on Monday. 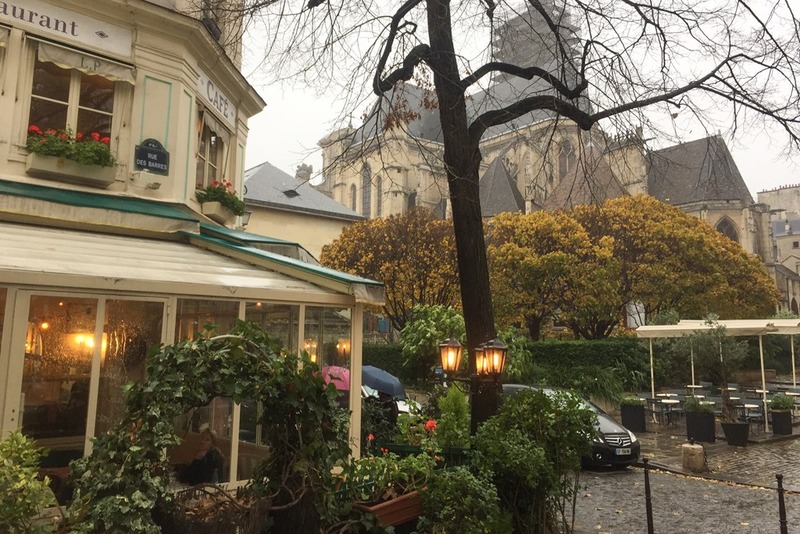 That should be waiting for me when I return back to Paris on Wednesday evening. So plenty of trainer accuracy fun for Thanksgiving is planned! Technically we rode along the river, though somehow I have no pics of said ride. By we, I mean with Julio. Just an easy wander along the river on a mostly nice day. I had brought along the Nikon Key Mission 360 camera, just for the heck of it. I’m not honestly sure I’ll use any of the footage from it, but, at least I have it for the review. I’ll likely use footage from my upcoming trip on Monday-Wednesday, since that footage will no doubt be prettier and more interesting. 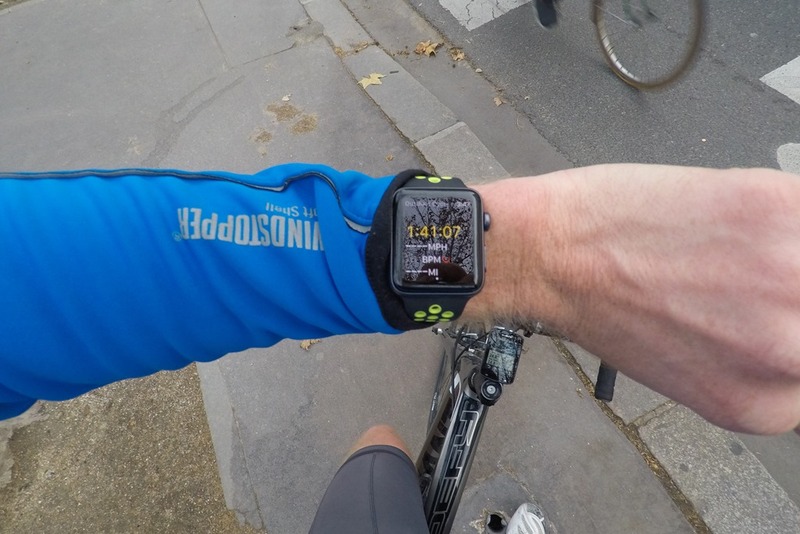 Oh, and last but not least I broke out the Apple Watch Series 2 Nike+ Edition watch for the ride. Though, for some reason it only recorded a third of a mile in distance. It’s like it didn’t utilize the GPS for the ‘Outdoor Cycle’ part of cycling. Kinda odd, so I’ll do some more research there and see what I screwed up. That said, the software platform on the Nike variant is definitely very focused for running (which is great), but I think companies like Garmin, Polar, and others can certainly learn a bit from what Nike/Apple has done here in terms of encouraging people (via prompts) to get out and run each day (vs just standing up). Interesting stuff. And by ‘date night’, I mean, not for the guys. Within a small group of friends, all of the ladies (all new moms) went out for a Saturday night on the town. Leaving all the guys at home with their respective little ones. This would actually be the very first night away for The Girl from the little one, coming up on five months! 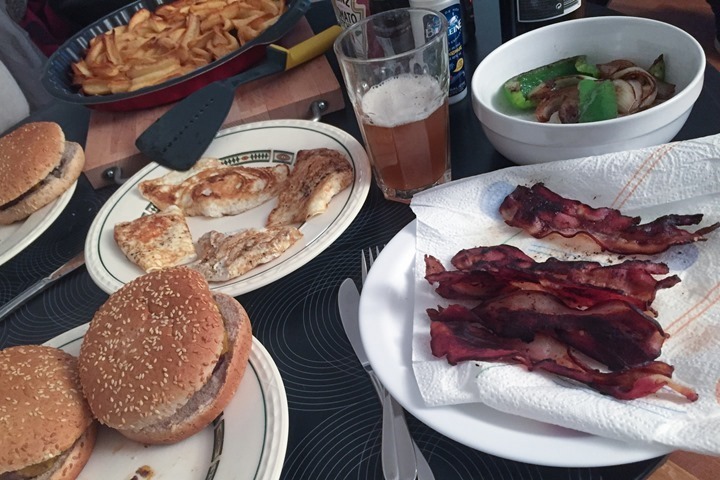 In order to celebrate our respective women being out on the town, Julio and I made burgers on the grill. And I went and picked up bacon at the butcher shop. I learned for the first time that my local butcher actually has a Facebook page (and meat wrapping paper to remind you of it). That said, I’m entirely unclear why the photos of the spot on their Facebook page don’t match the actual place, yet the address does. Either way, I don’t care. 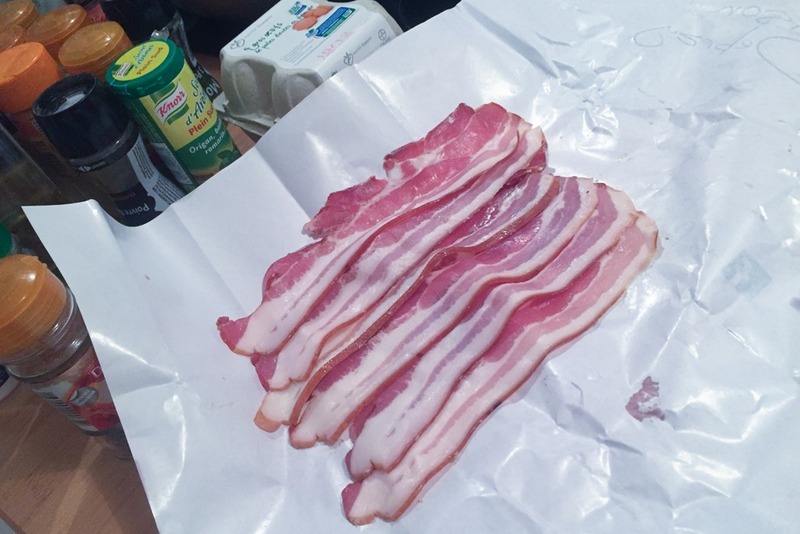 The bacon is beautiful. With Julio tending to burgers on the grill, I focused on the bacon. I simply did that in a skillet, and then I used the extra bacon grease to fry up some eggs to place atop (and grill up some onions and peppers). The best burgers have eggs atop. And with that, our babysitting party was complete. Sunday afternoon The Girl, The Peanut, The Dog, and I all headed out for a walk across town. Just a stroll really. We made it about 100 yards before it decided to crap from the sky. Apparently we should have woken up earlier. 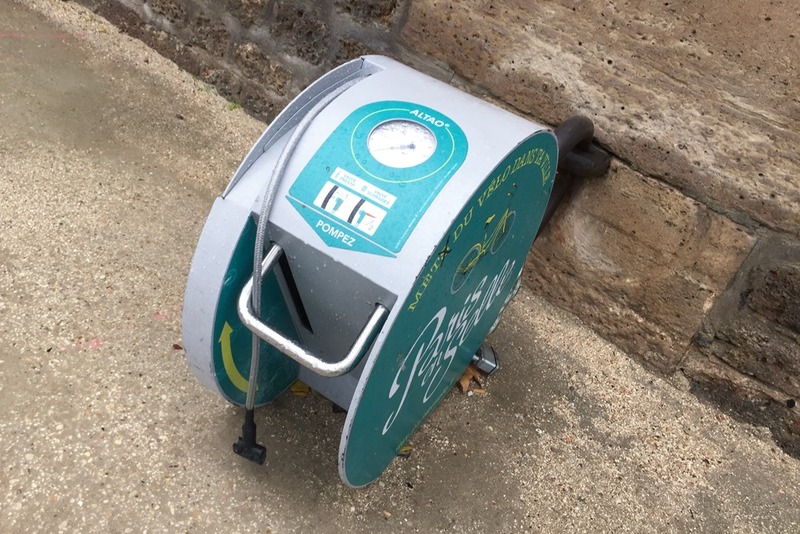 And even better, there’s a bike pump station nearby for anyone to use, put out by a cycling association within the city. 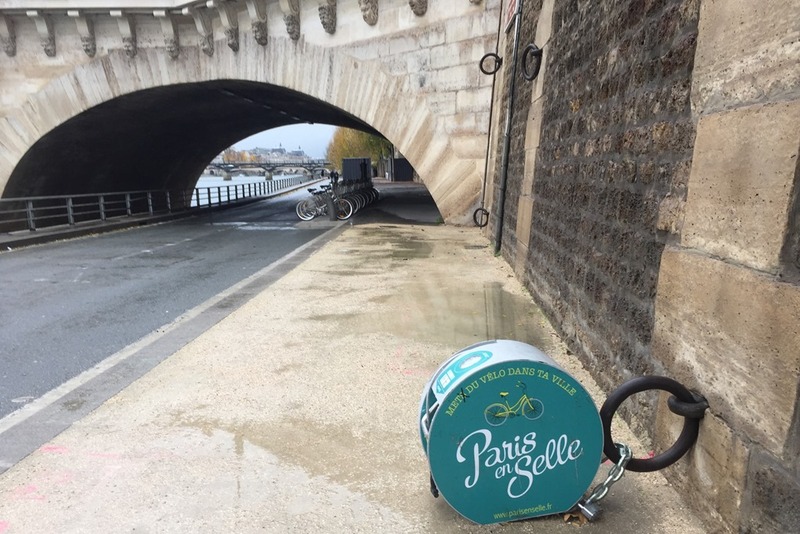 This is the first one I’ve seen around Paris! Oh, and the rain continued. 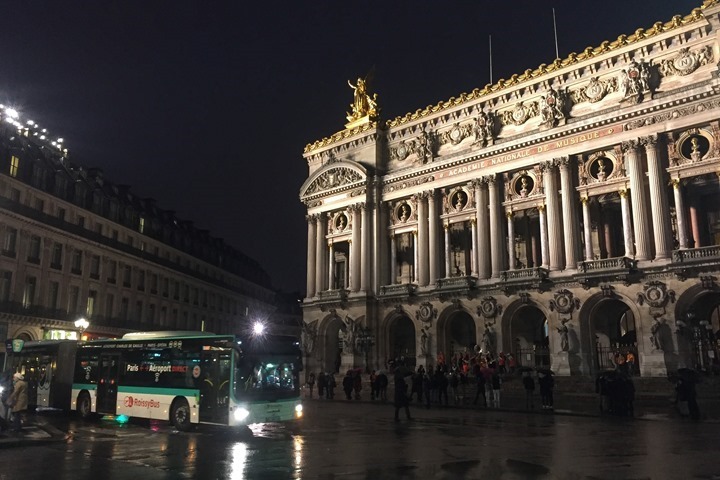 Here’s Opera, still raining. After contemplating a venture into the Apple Store nearby, we diverted to pickup an Autolib and head home, since that seemed like a less pricey acquisition than a new MacBook Pro. Though, without normal USB ports or an SD card slot, I’m not a buyer. By the time you read this post I’ll be boarding one of two flights for the day. The first to Zurich, and the second south four hours to a warmer locale. Here’s most of the gear I’m taking with me. And when I’m talking gear, it’s just the sports tech electronics. That’s not including my laptops (one PC, one Mac), spare hard drives, or extra batteries for laptops. Nor does it include all my clothing. Oh, and it’s just a 48 hour trip! Just me, my giant suitcase, and a bunch of gear. Two bikes await my arrival however, and I’ll be packing in tons of product review shots during that time period. So stay tuned to Twitter for some sneak peeks! With that – have a great week ahead! The best burgers also have beetroot. I have a Apple Watch Series 2 as well, and it will not map with GPS if I am using my Garmin Edge 820. It will log a workout with HR and time data, but no speed or route data(map). If I use the 820 without pairing to my iPhone 7, (no LiveTrack) and upload after my ride, the Apple Watch works fine and logs everything just fine. Is this a Bluetooth issue?? Wow, exact same test scenario for me (including Live Track). That said, I can’t see how the two apps/devices would interact in that way to ‘break’ the Apple Watch GPS that way. Thanks! Look forward to a fix if possible. Is your iPhone also connected to the watch and Edge? There was an error where the edge messed up the iPhone GPS. I think it’s fixed with the latest garmin update. My iPhone would always point to the same place in Spain while connected to the Edge (I’m in Massachusetts). In the review I did weeks ago I faced the same problem. So I ended up turning Bluetooth off on the phone on the test rides. But I don’t remember having the iPhone paired to the Edge unit, as I did all the tests with an iPhone 5 that I barely use. Anyway, with the watch disconnected from the phone it was all nice (kinda). I found many GPS issues. 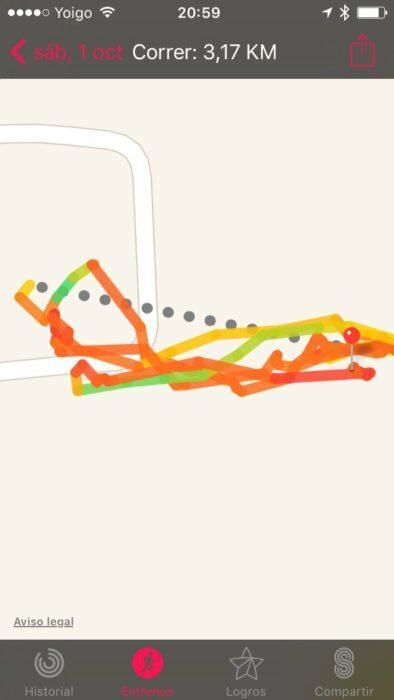 Like really horrible tracks (and I mean really, really bad, like this: https://www.correrunamaraton.com/wp-content/uploads/2016/10/apple-watch-s2-gps-10-394×700.jpg compared to the real intervals as recorded with a different watch: https://www.correrunamaraton.com/wp-content/uploads/2016/10/fenix-3-interavalos-apple-watch-700×218.jpg), but also acting in many ways like disconnecting the GPS mid run, but recording the rest of the run with full distance and HR; leaving a half marathon with a GPS track of about 8km but with total distance around 21km. Or with the watch not connected to anything else, showing distance and speed, but not showing a track on the phone after syncing it. The 520 features fail in comparison (especially having to choose new maps in advance of a trip, which I always forget) but at least it’s reliable. 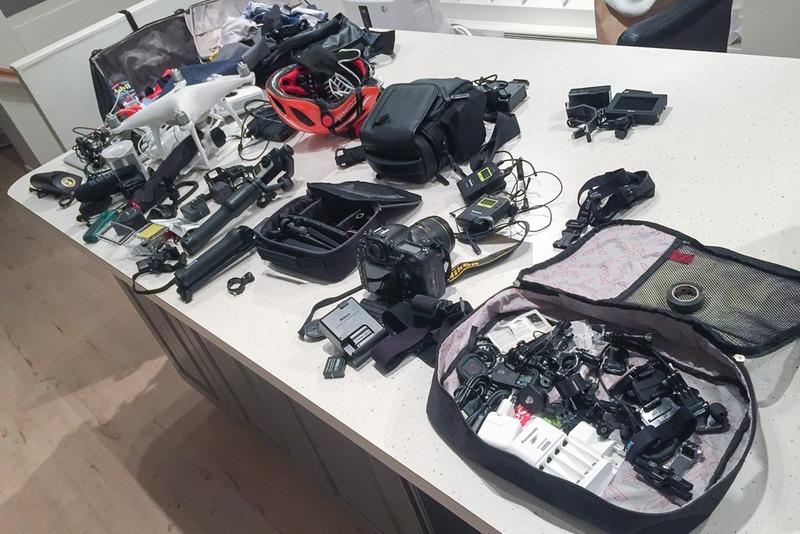 My wife is always amazed by my pile of gadgets when we travel…..I’ll just show her your picture of travel gear….mine’s nothing compared to that! if you’re going to be in zurich tuesday morning, feel like a run up the local mountain (uetliberg)? it’s supposed to be dry. When I see the picture of gadgets your are taking I ask. Who has more luggage the baby or Ray? Do you ever have problems with airport security travelling with so much electronica? I guess with hold luggage it’s not always readily apparent if security have opened it up and had a rummage through (although it’s sometimes obvious when you open your suitcase at the other end), but do you also sometimes carry stuff as hand luggage and have to lay it all out in trays for the x-ray machine? I separate stuff I check from carry-on. So for this trip I had one gigantic suitcase of checked luggage, and then two carry-on backpack. One backpack with laptops in it (+ headphones/hard drives). 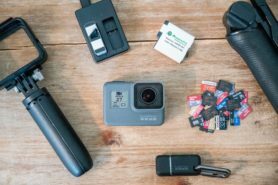 And then a second backpack with my DSLR body/one lens, the DJI Mavic drone, and the GoPro/VIRB cameras. Basically, I could operate and get stuff done totally on the backpacks (ignoring the clothes situation) until lunch the next day, if my bag got lost. Did you have any trouble calibrating the Magnus? I have had this problem three times out of four rides on trainer road. The second spin down after warm up sends the power way out of whack and won’t become normal after multiple back to back spin downs the power reads so high I can’t get it down below 200 no matter how slow or what gear I ride. Hi Ray – I received my Magnus about a week ago and was wondering if you’ve experienced any trouble getting the resistance wheel to click once you have your bike secured and ready to go? From your prior reviews it seemed like a nice feature, but I’ve only heard this mysterious ‘click’ one time out of probably twenty times that I’ve tried it. Other than that it’s been a nice upgrade from a ‘dumb’ Kurt Kinetic trainer. 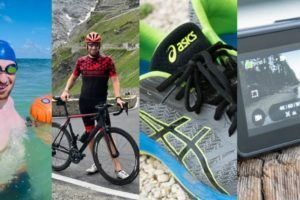 Good to hear I’m not the only one who couldn’t get Trainerroad iOS to control it. The resistance knob on mine clicks, but it seems very tight on the tire. I’ve never owned a wheel on trainer just rollers. But the tire seems excessively pushed down. I’m running 125 psi in a Specialized S-Works Turbo S 24C tire. I’ve counted exactly 5 full turns from the tire contacting the roller till the dial clicks. The torque dial was one of the selling features to me to make sure the tire was always at the same everytime. 5 full turns does seem like a lot and I don’t think I’ve even tried that many yet. I’ll give it a go tonight from home and see if that works. The trainer did seem to perform just fine on a Virtual Training workout yesterday despite the fact that the dial didn’t click. Like you, this was one of the deciding factors in buying this trainer. Also at this tension there is a click every revolution of the wheel. I can’t tell if it’s from the unit or my bike wheel. I’m hesitant to ride it at that tension. I’m going to go back and do the 2.5 turns and see if the noise is still there. I have emailed Cycleops to ask them. Lee, It does not seem excessive to me. The amount of turns can vary slightly from tire. It’s important to use your tires recommended psi. Here is a picture that I took for a customer just the other day to show what correct tension looks like. Thanks Eric! That looks more squished than my tire. My concern was when using the torque knob tension I was getting a clicking noise, when I backed the tension off the noise went away. I was concerned that I was putting excess strain on something and the Magnus wasn’t happy with it. I purchased the Magnus on Saturday from my local bike shop and was excited to try it at home. The auto tension feature was a big selling point for me. I put my bike on the trainer and proceeded to turn the know waiting for it to click letting me know if was tight enough. I turned it quite a few times, 4 maybe 5 until it actually clicked. Once it did, I heard another click and then the know would not tighten. Took it apart and saw that the “nose end” of the know had broken off and allowed the nut inside it to slide out. Since this was a feature I know I would be using often, I was concerned that it would possibly break again in the future. The bike store offered to replace the Magnus with another one, but I decided to go with the Kickr Snap instead. I wanted to like the Magnus, but I don’t think the touted auto tension feature has been tested well enough and the know design is a liability in it’s current design(IMHO). I hope that get it resolved as I don’t think I’ll be an isolated case for them. On a positive note the power accuracy is pretty good. With both the Magnus and Vector 2 Calibrated I did a 25 min ride. Vector 2 187 avg, Magnus 178 avg. I did a sprint in there, Vector 2 1078w, Magnus 1110w. Pretty happy with that. I`m just curious … how many hours does your day have? Don`t tell me just 24 like us normal mortal beings …. It had 25 hours today, since I went back an hour. Pro tip: It is not babysitting when you watch your own kid — at least not when talking/writing in any situation in which your wife may hear/read that you said it! Haha, as the saying goes: it’s not babysitting when it’s your own child, it’s called parenting. CycleOps Magnus – you’re scaring me. I ordered one last week from my local shop, expecting it in a couple weeks. I was presuming it would work with BKool, Trainer Road and Zwift. Mostly planning on the first & last of those. You noted it didn’t do control, only reporting, with Trainer Road. 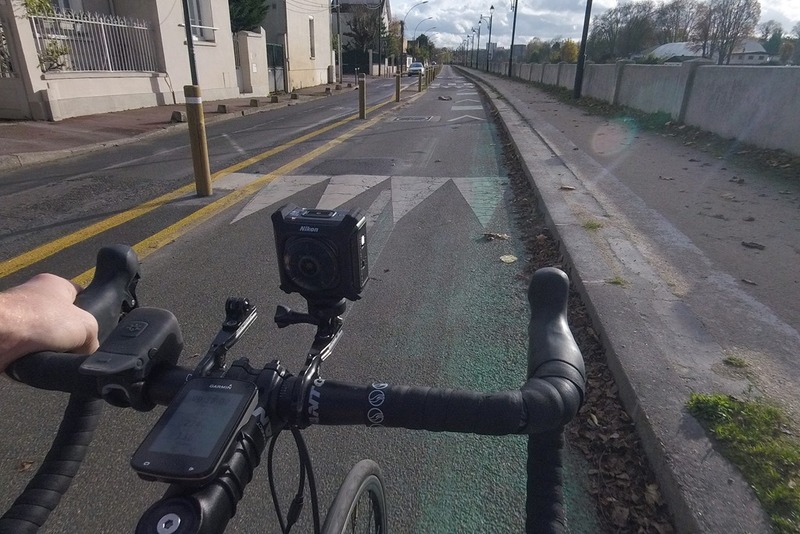 Any chance you can let us know if it is controllable on Zwift and BKool? Kinda regretting my purchase and wanting to cancel. Wahoo/BKool trainers claim work on both. Argh. I have had it for a week. 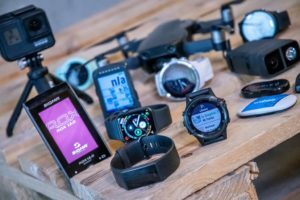 According to Trainerroad support, you will need the wahoo ant+ key for ios, as it (I assume the trainerroad app) doesn’t do bluetooth trainer control. It works as advertised in this scenario. We are working with all the major software platforms to add support. It’ll currently work great with out CVT and Zwift. The trainer does incorporate ANT+ FEC, so it should work with other platforms also using that. However we are in active talks with Trainer Road to ensure compatibility there too. 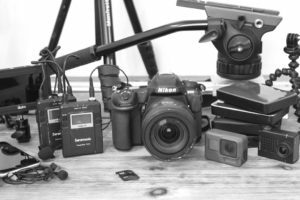 Wow… so how *do* you manage to pass security at the airport every time and what do you do when they ask you to take out ‘any electronic equipment’?? Yes the Magnus frame is the same one that’s used for the Fluid 2. We have also made the Magnus backwards compatible with our Pro frame. Always looking forward to reading your posts. Your post are always awesome, and thanks for doing so much for the sport industry! that we in the western culture drive. The joy in just going for a run and a ride, with absolutely no gear other then you, your shoes / the bike. Just enjoying the element, your friends and the actual workout, without having to measure a single thing. Just be & enjoy. In my case, this is totally a ‘work trip’ in the sense that I’m working on four product reviews concurrently. I try to get the most bang for the buck from these sorts of things. Super evenly crips. yummy. But do remember to take it off the paper, before it cools down or it might stick togeter. Hmm, putting bacon purposefully in the microwave? Just a note to say, 1) the girl is doing a great job with the newsletter, 2) I covet your bacon, 3) hugs to Lucy. I received my Magnus tonight and unfortunately the threads inside the bolt action tube appear damaged and the quick release knob won’t screw in. I’ve read some other unfavourable comments about the Magnus so I think I might have to consider getting the Snap instead. Matt, I’d like to learn more about what’s not working so I can fix it for you. Feel free to contact me directly at ealbers@saris.com so we can get this taken care of. I just received my new MacBook Pro (15″ Quad Core i7 w/16 GB Ram, 512 GB SSD, Radeon 4GB 460) and it is really an amazing machine in just 4 lbs. It doesn’t even seem to get hot and yet is about the most powerful “portable” laptop you can buy. Too much is being made of the lack of ports, I think. You can buy one dongle that sets flush to the side of the laptop that has 3 USB-b ports and 2 SD card slots for travel and when you hook up at your desk get one that has everything you need including Hdmi, Ethernet, and Thuderbolt as well as supplying power so you just plug in one cable. In a couple of years everyone will be following Apples lead. Seems odd that given that table of gear and adapters you carry with you that having to get one adapter to use what is arguably the best laptop made, makes you “not a buyer” 😉 . The touch bar and huge track pad are both awesome by the way. For a flush mount there is this one: link to a.co (I meant to say USB Type-a 3.0 – type-b are those square connectors some hard drives use) For the desktop you could use this one: link to a.co. However, this one would probably work for me for both situations and appears better rated: link to a.co. Because the MacBook has been out for a while with just one USB-c there are lots of multiport adapters and Apple is also discounting their adapters until the first of the year. Still, it’s nice that it’s got so much functionality in there. It’s funny though, you forget how many common ports are missing compared to my PC until one looks at the adapters. For example, I have a secondary display that I use every once in a while on my desk, which is VGA. Sure, it’s older, but works just fine for occasional use. The reason the Apple Watch stopped tracking distance. Here is what I have figured out through lots of testing. First of all the Apple Watch will not use the built in GPS unless it can not connect to an iPhone. If it (the watch) sees the slightest hint of your iPhone it will try to use the iPhone GSP instead of the built in GPS. In my mind this is a bug and I filed a radar with Apple. It would be great if you could publicize the bug so Apple might fix it. Any idea when we can expect some more details regarding the Magnus? You’ll likely see more videos this week on it. I’ve got a Flux/Neo/KICKR2 sound video coming up in the next hour or two. I’ll likely do a KICKR SNAP/Magnus/Kinetic Smart Control video in the same style over the next day or two. I’m looking forward to the review. I have purchased and have been riding the Magnus. I thought I had the calibration dialed as I was getting very close (within 5%) readings to my Vector 2’s. Today I did a Zwift ERG training ride using the Magnus for power through Zwift and running the Vector 2’s through the 820. I did a calibration through the Cycleops app (at least I think I did as the app never tells you that calibration is successful ) And the numbers were way off, between 10 and 14% off. The Magnus was trying to hold me at 265 watts (it does a great job in ERG) and the vector 2’s were showing 300 watts. The speed at which the Magnus varies the resistance is very quick. Overall I’m very happy with it. I just need help getting it back to the 5% it was showing. My foundation ride was more of a high tempo ride, lol. What CVT are you using to calibrate, PC, Tablet, phone? Also what version is it? And lastly are you calibrating via ANT+ or Bluetooth? First I just want to say thanks. Cycleops customer service has been fantastic. 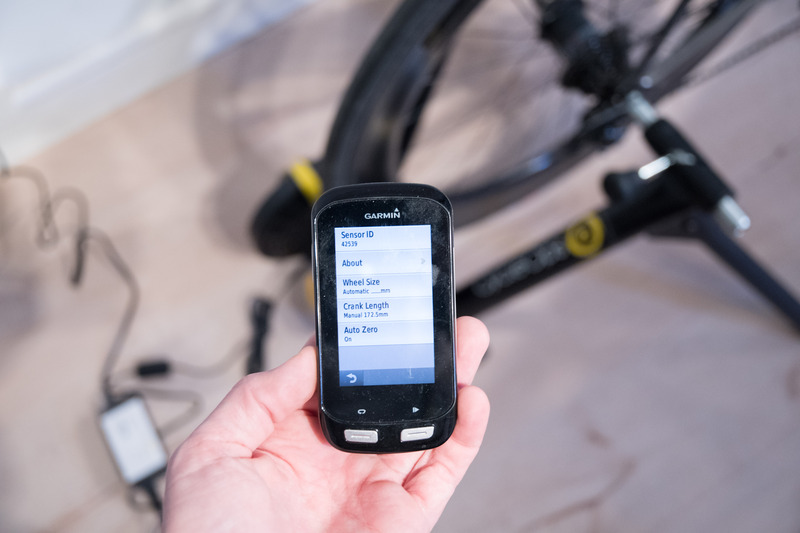 I have tried using the Garmin Edge 820 to calibrate but it always gives me a “low temperature” warning and doesn’t do anything, I don’t know if calibrating through the Garmin is even possible but I tried it anyway. Got it all figured I hope. After some back and forth emails with Rob at Cycleops it looks like it’s working. Deleted and reinstalled the app. When calibration is successful the app actually does tell you it’s successful . With the Magnus calibrated, the Magnus and Vector 2 are within 5% of each other. Hi Ray, any idea when the next round of the Magnus is going to be shipped from clever training? I called yesterday but they were not able to give me a specific date. The dates vary, as units actually started going out weeks ago. So it depends a bit on where you stand in the line. 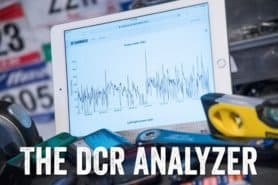 At the same time, CycleOps/PowerTap hasn’t really been providing great dates either for new shipments (for both trainers as well as some power meter units like the P1). First impression is that my Magnus is a total piece of garbage. Shockingly annoying setup to get the pivot arm tube installed, and it refuses to calibrate on both my Mac or my Android on both Trainer Road and Virtual Training. Really upset. I was excited to get it running and humming tonight, and it looks like I won’t even be able to calibrate it. Pivot arm? Are you meaning the bolt that goes through to hold the power unit to the frame? That was pretty tight, but I think you want it tight. It took me a few quite a few tries at first to get it calibrated. I had to uninstall the app on Android. It has calibrated the first try the last three times. Once calibrated I find it very accurate. 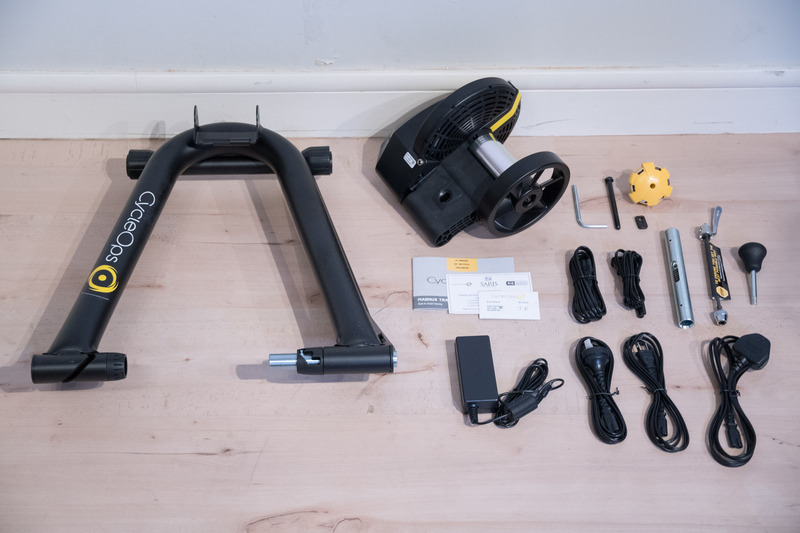 I was frustrated at first with the calibration and accuracy but dealing with Cycleops excellent customer service we got it sorted and it has been awesonme ever since. I meant the spring-loaded bolt that locks the skewer into place. It was very, very difficult to slide through to get installed. Anyway, I now have a useless Magnus until further notice, since CycleOps customer service phoneline doesn’t work weekends, and their email service is “within three business days.” I’ll hold out hope that they’re helpful since you’re vouching for it, but barf. I had an issue with that bolt too; the threads were stripped and the quick release knob wouldn’t screw in. I posted this in the comments, Eric from CycleOps told me to contact him, and two days later I had a new part. I also had some questions afterwards, and he was fairly prompt in getting back to me. You may want to contact him directly: ealbers@saris.com. I’ve had no issues with calibration on my Windows laptop, so I can’t help you there. Both times I calibrated it, it was successful within a minute or two. Hopefully you can get your issue resolved. 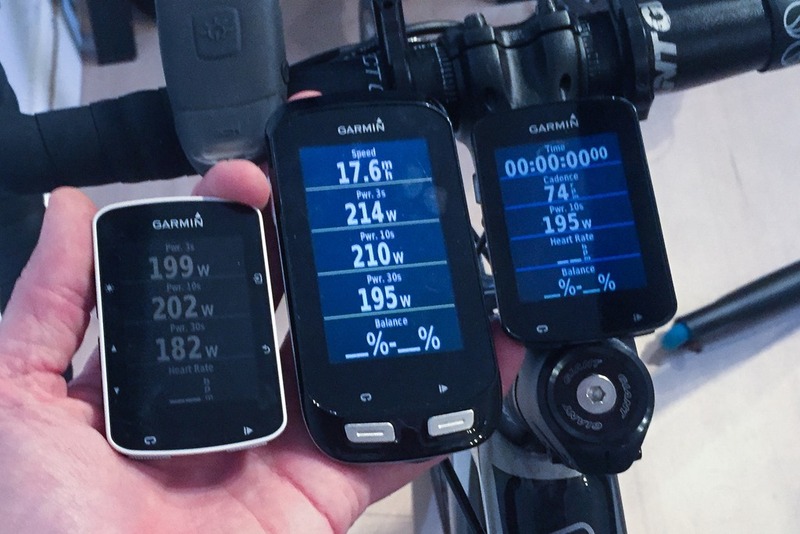 Note: Calibration won’t work right now on TrainerRoad. This was discussed somewhere (not that I expect you to find that of course). TR is fixing it shortly, but as of today it’s not working. You need to use the CVT app to do calibration. What’s the error message that says on CVT in which part of calibration, and which version of CVT app? Tried the CVT app again today and it worked this time. Yesterday it didn’t have an error message; it just stopped responding to the trainer altogether. When I first tried to calibrate, it went through the whole process, then just said “let wheel spin down to 0” for a few minutes straight. Then, it would display a speed/power when I was in my Virtual Bike settings, but when I was in the calibrate screen it would drop to zero no matter what I was doing and ask me to start pedaling (even though I was holding 25km/h per the settings screen). So now that I’m able to calibrate, can I use Trainer Road, and just need to calibrate in the CVT app first before starting each time? Or would you recommend sticking to CVT until TR figures out the Magnus/CycleOps? Thanks for jumping in and helping! I think the answer to this is once the unit is calibrated it should be sending out the proper power signal regardless of what program you are using. One other thing I have noticed is the Magnus really likes my android phone close to it during calibration. I end up holding the phone by my hip during calibration. Once calibrated there seems to be no issue with signal strength. 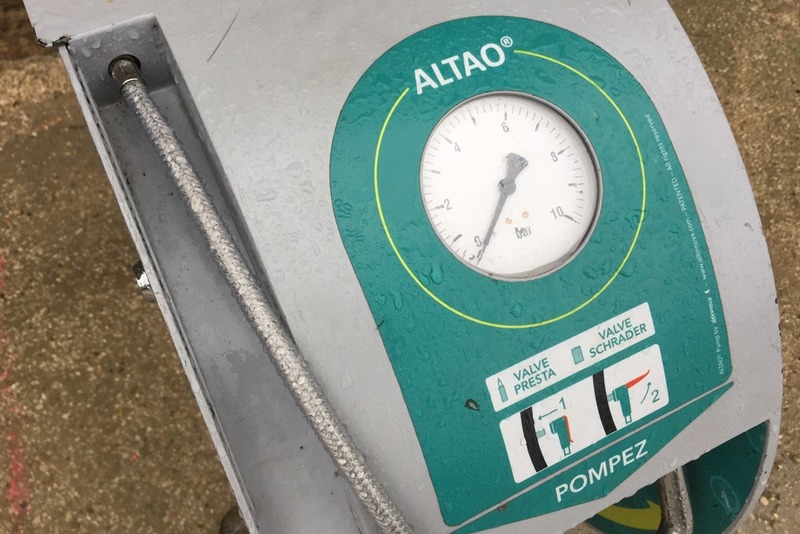 Correct, TR and CycleOps both confirmed (somewhere in a comment in the last few weeks) that if you calibrate in CVT you can then return to TP/etc and all will be well. This is correct, a calibrated trainer will store the calibration value not the software. So calibrating in CVT and using in Trainer Road or Zwift will produce the same accuracy. We would recommend that a calibration be done each time you ride and ideally after you have already warmed up for 5-10 minutes. 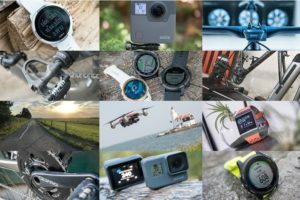 A different question about ERG mode. Does anyone know if there’s a way to set a low power threshold? Example workout last night had me doing 4 mins of 305watts and 2 mins 160w. I was starting to struggle on the second to last 305w interval and my cadence started to slow. Because of this the resistance ramped up. I kind of gave up for a second and stopped pedaling, well the Magnus put on all the resistance, lol. I had to stand up and could barely get the pedals moving and and to give it all I had to get going, but the effort to get it going again pretty much did me in. What I was wondering is if there was some setting that even in ERG mode that if the wattage drops to half what it should be the trainer eases up on the resistance? That way if you falter you can catch back up. The way it is now if you falter you are done, lol. Sorry. The shaft with the spring was tight. The quick release handle that threads into the spring shaft had no problems. The calibration issues I had were with the Android app. Once uninstalled and then re installed with the latest version I’ve had no issues with calibration. Once calibrated I’m very happy with how close it reads to the Vector 2’s. Hi Julie. I felt I had the same issue with excessive tension. I am running a 24c tire at 125psi. It takes the clutch knob about 5 turns (from tire contact) to click. My tire looks exactly like yours. 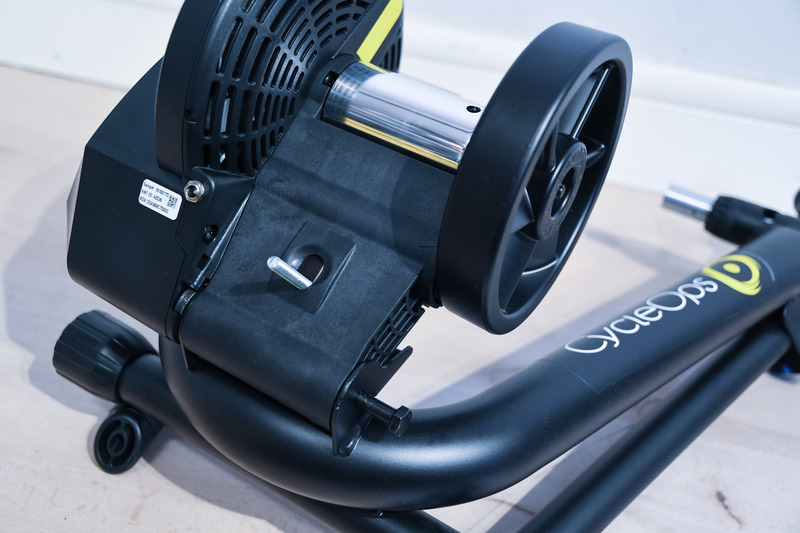 In going back and forth with Cycleops (fantastic customer service) they had to increase the tension due to the incline that the Magnus goes their thought is the Magnus is pushing the limits of a wheel on trainer. I get the rotational thud as well, it’s more prominent at lower speeds. I’m 90% sure that it’s the spot where the valve stem of the inner tube is. To me this is more of an annoyance. Cylceops did also say that you didn’t have to crank the clutch knob all the way and calibrate the unit as normal, just don’t expect to get max incline without tire slip. I actually tried this, I did 3 turns of the clutch knob, calibrated and rode normally I started getting wheel slip at about the 9% incline in zwift (with the zwift trainer incline setting to max) The thud goes away at three turns as well. Also to add, accuracy has been great. I’m seeing about a 2% difference than my Vector 2 pedals, which to me is totally acceptable. Thanks for the response, Lee. Last night I warmed up and then attempted to calibrate the Magnus, which was a frustrating 90 minute struggle. I uninstalled and reinstalled the CVT app numerous times before it would work. Did a TR to use and wanted to calibrate after the ride again, and the Magnus went into super human mode where mere mortals would not be capable of turning the cranks! No idea what caused this. I am getting super frustrated. 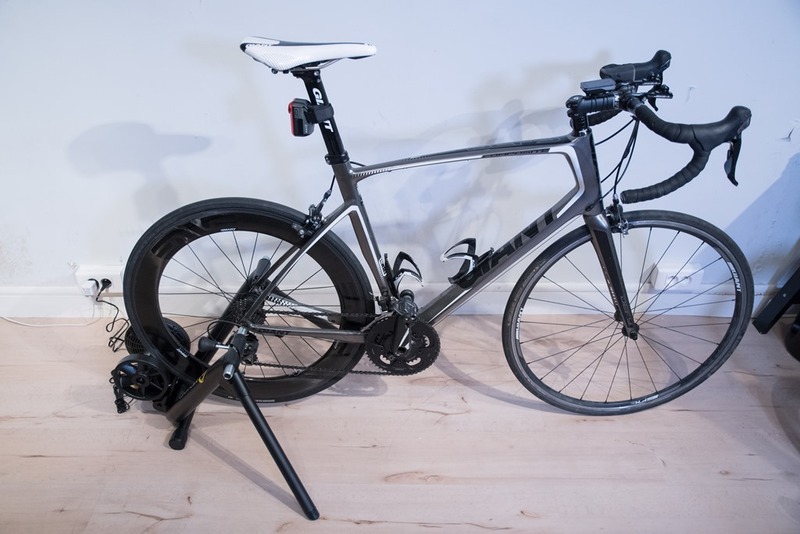 I want this to work as I’ve had two previous CycleOps trainers that I was happy with, but my patience is wearing thin. Likely within the next week or two for the final review. That said – have you reached out to CycleOps support? Definitely contact their customer support directly. I was getting multiple back and forth emails a day dealing with them. They would have me try something I would email them back the result and they would respond within 30 mins to my email. One of the best customer support service I have dealt with. My Magnus is sorted, I have a dozen 1hr Zwift training rides and it has worked flawlessly since. 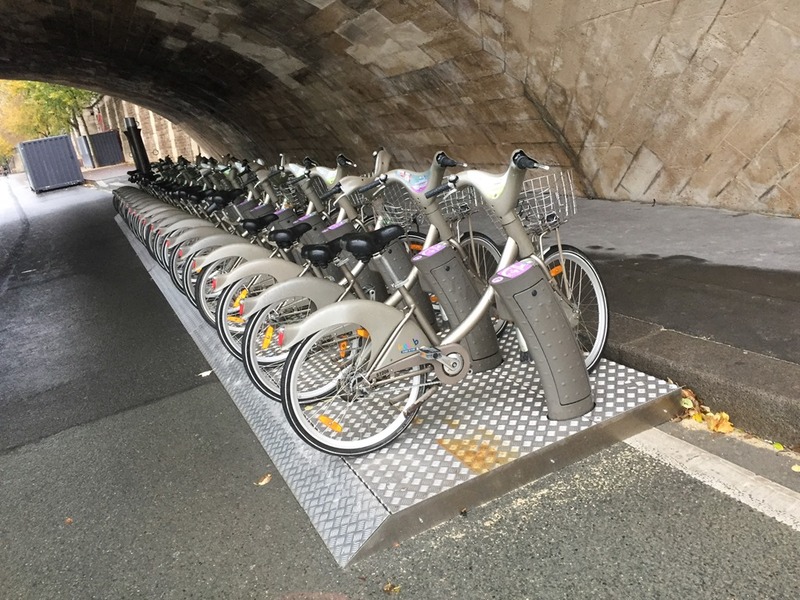 Also there is TWO Cycleops training apps for Android. Cycleops Virtual Training, and Cyclops Virtual Training Mobile. Do not use the Mobile version. Us the Virtual Training App. Apparently Virtual training is being phased out so they only have one app but the Mobile Verison is buggy still. Julie- Feel free to get in touch with me (ealbers@saris.com) or we have a great customer service team that can help (custsrv@saris.com). We definitely want to find out more on what’s happening and help get you riding! There are no plans on phasing CVT out. With that said you may see two apps in the android store if you search, we hope to correct that soon. The link below is the one you want for android mobile or tablets. My Magnus is due to arrive today! All of these problems makes me wish I bought the Kickr Snap instead. 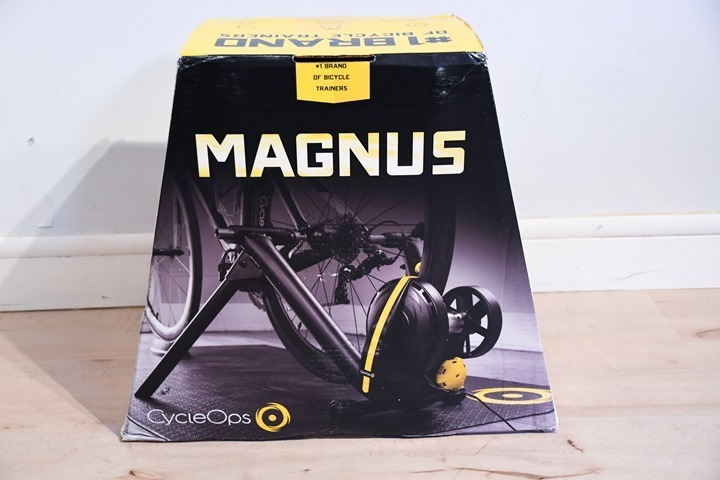 I really hope that the Magnus performs well as I’ve also had good luck with Cycleops in the past. Thanks Ray, looking forward to your final review. CycleOps does have phenomenal support, I’ve called twice in the past week and will be in touch again. Unfortunately I have my issues when customer service is closed. I am hopeful things will be sorted and all will be right with the Magnus. I appreciate everyone’s input. I’m in the same boat. Mine was schedule to arrive late last month, just got off phone with my local shop, now it’s being reported as Dec 22nd. I’m kinda scared at all of this to be honest and wondering if I should just cancel the order and buy a proven product. You all keep posting that you’re at 110 PSI. I’m going to use a mountain bike (with slicks) on it. I’m going to be hitting the rim with the pressure you folks are applying. I honestly don’t know what to do. Let alone my frustration that I should have had this a month ago. What size of tire are you running? A smaller tire needs more psi. 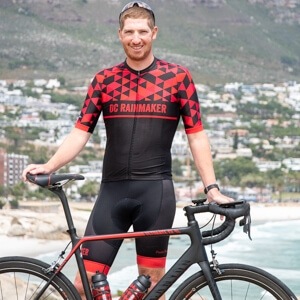 if you are running a 2″ mtb slick (50mm) then running 60psi is probably going to feel the same as road 25cm tire at 110psi it’s all about air volume. I received my Magnus just under two weeks ago. I also had a problem with having to excessively tighten the wheel onto the trainer and not being able to get the clutch knob engaged. I figured out it was because the supplied L-bolt in my kit was made from a weak quality steel and the short-smooth end of the bolt was not sufficiently long enough. I noticed that the L-bolt was bending during tightening which prevented the tension to reach the level needed for the clutch knob to engage. The bending L-bolt also caused the alignment of the bolt through the resistance unit to become skewed. I worked with CycleOps/Saris Customer Service and shared my problem along with pictures and they were able to get a custom bent L-bolt sent out to me yesterday. In the meantime, I bent my own bolt that I picked up from a hardware store. A standard 1/4×4 hex bolt with the head cut off and bent to 90 degrees. This stronger bolt works great and the clutch knob now works as designed without excessive tightening. 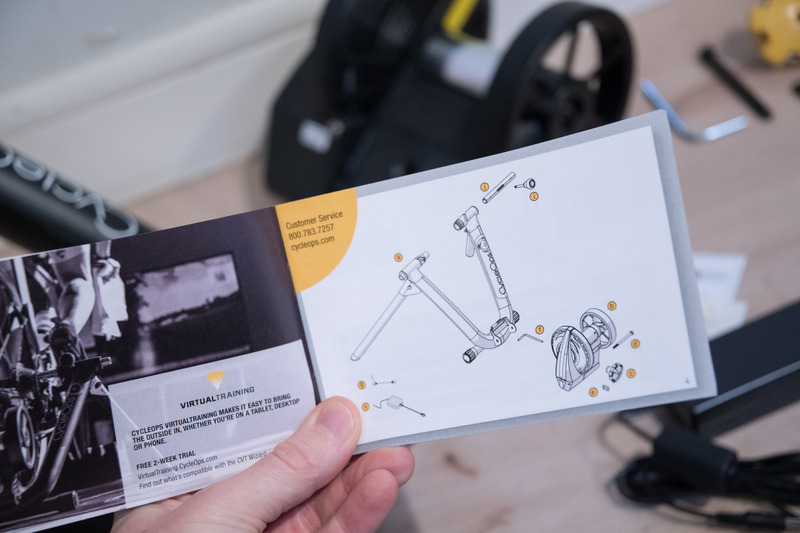 Customer Service was easy to work with but dealing with the troubles I had with the L-bolt was not something I expected I had to go through when buying a high-end smart trainer. Hopefully, CycleOps will supply a stronger bolt in future kits to prevent this problem with others. I have attached a photo of my original L-bolts that bent. I could not be more disappointed right now. Beyond upset and frustrated. I ordered the Magnus trainer from my local shop on Nov 22nd, the day after this blog post, after receiving confirmation from Magnus via Twitter that the unit was in production and shipping. I was originally told by my local shop, with information from their distributor, that I would have it “by the end of the month.” On Dec 1st, I called. It was now Dec 9th. I was busy, finally on Dec 12th I called back, was told Dec 22nd. Today, rather than call, I found myself near the shop and went in for a visit. Today they told me it would be Jan 5th. I cancelled the order. In that time, So it’s Dec 21st, I am still without the trainer I tried purchasing as a Christmas present. It was “for myself” as well as my entire family. I can not express how incredibly frustrated I am. My only satisfaction is with all the complaints in this thread, I won’t have to deal with them. The greater disappointment was my 2nd choice trainer was running a $70 discount in early December which has now expired. So not only did I not get the trainer I wanted, I also lost out on saving $70 on my next choice. I don’t know if @CyclopsEric works for them or not, but you need to let them know this is not the way to gain and maintain customers. You either have the units or you don’t. The moving target is a very poor way to treat customers. 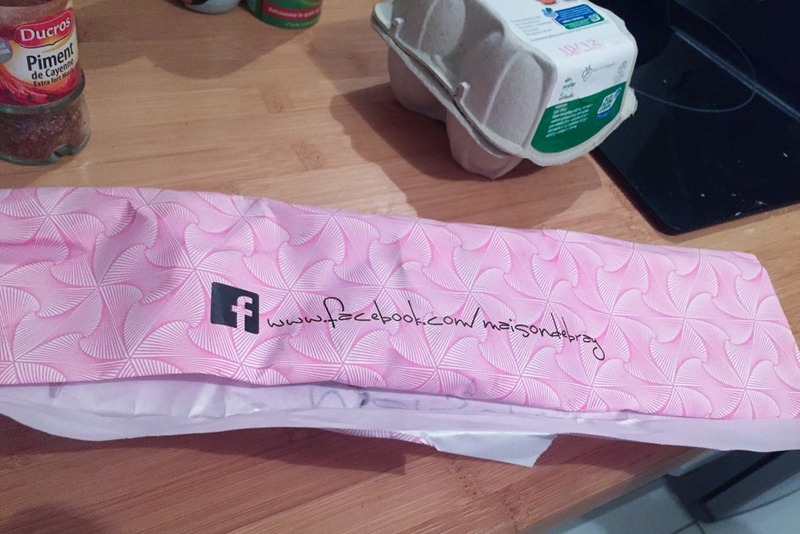 I very sorry about your experience. 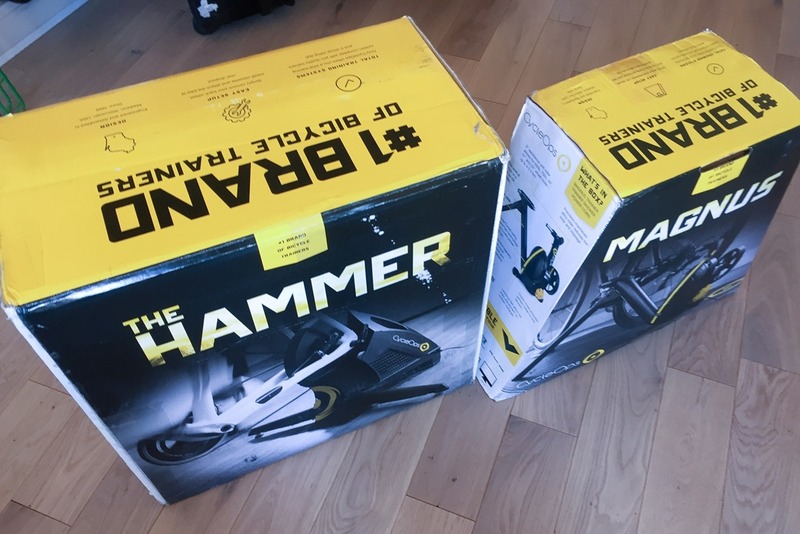 We have had an overwhelming response to both the Hammer and Magnus smart trainers and are working overtime to ship as many trainers as possible. You are welcome to reach out to me directly via email or phone 608-729-6148. Just did my first short ride on zwift and the calibration on magnus. I am no professional reviewer like we are used to on this site, but hopefully my perspective helps others shopping these units at my level. I had choice between the kickr snap for $480 or the magnus for $450 thanks to some online coupons. The Magnus seems good. I have had a fluid2 and a jet fluid in the past for comparison. It does make a fair bit of a drone and whine noise, but that may also be due to the rubino tires (slight tread pattern on shoulders) and the fact that i am currently set up in the garage as the basement is currently being finished. The knob does appear to clamp the tire down tighter than the same setup i had on my cycleops jet fluid, but it seems to ride fine so I am not too concerned about it. The base is their classic proven design, not flashy but certainly solid and stable enough. I don’t have any smart trainer experience to compare with, but the resistance changes seem quick and pretty smooth. The steep parts of climbs required me getting towards the end of my gearing to keep a decent cadence and wattage. I hit over 800 watts sprinting against someone at the end of Zwift London KOM and there was still plenty of room to crank it up more. The flywheel size was the major concern for me when comparing with the wahoo, but it seems good enough, similar to a cycleops fluid if i remember correctly. The calibration was 120 seconds of me going between 18-22 mph, which was not very difficult in my opinion. I did not see what wattage I was putting out, but it seemed like a typical 20mph zwift effort on flat terrain at an ~85-90 cadence. I recommend you do zwift and calibration on same device if using bluetooth only. I was connected to zwift on ipad and it took me a few minutes to realize I could not connect to trainer on my iphone to do the calibration at same time. I imagine this wouldnt be an issue on ANT+ since it could broadcast to numerous devices at same time. I chose this over the wahoo snap because I have had good experiences with Cycleops and their sister brand Saris. Also, If the unit ever fails on me down the road, I could always swap in a cheap wind/mag/fluid unit as the frame should stand the test of time and has a lifetime warranty. Thanks for the feedback Matt! You are correct you do need to disconnect the trainer from Zwift when doing a calibration, for BLE as well as ANT+ actually. So is it best to just spin for 5 minutes, do calibration, then start zwift? Or what is best routine for a daily 60-90 minutes of zwift? You are exactly right, Matt. I would recommend a minimum of a 5 minute warmup, 10 would be ideal. The reason for this is to get the roller to tire contact up to ride temprature. Once you complete the warm up use CVT for a calibration and you are set. I recommend doing this for every ride even if your not removing the bike from the trainer in between rides. Hey all Cycleops Virtual Training (CVT) users: I have created a short “Workout” in CVT called “10 Minute Warm-up”. My user name is felixb1. Feel free to use this workout in order to warm your trainer up before calibrating it and launching your Zwift session! Ray, do you have any news about an In-Depth Magnus Trainer Review? Are you still planning on publishing one? With travelling in Australia this month, the earliest would unfortunately be in February. I’ve got a bunch of rides in, but not enough other photos to put together the review while on the road.